“To write”, diplomat-author Navtej Sarna evokes Gogol, “all you need to do is look around your room.” It may have been “enough” for Gogol, but not for Sarna who is “open” to experience and dips into the vast canvas of his observations he has accrued over the years to write. 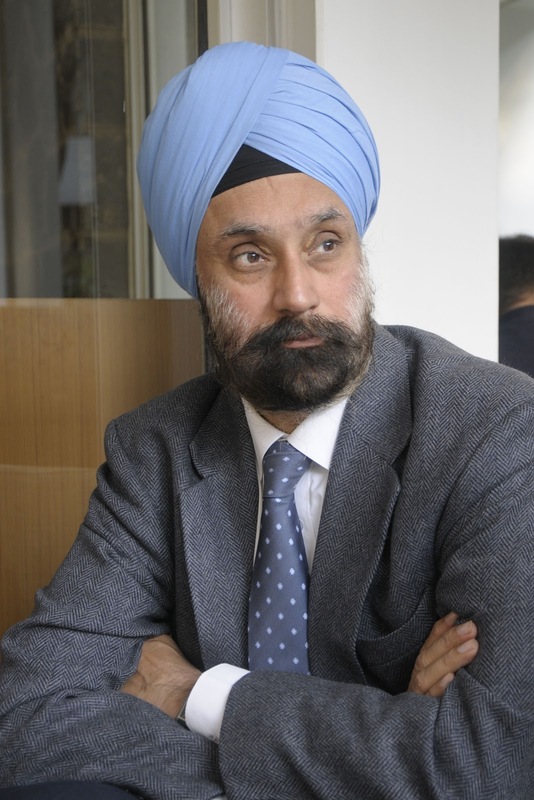 If there is anything Sarna, who is back from his stint as India’s ambassador to Israel and is now additional secretary in the ministry of external affairs, must do, he must look around the world. His latest anthology, Winter Evenings: Stories, hopscotches through Paris, Shimla, Moscow, Geneva, Bombay (now Mumbai) and Delhi to tell stories of people navigating emotional crossroads. “A short story,” Edgar Allan Poe had argued, “must have a single mood and every sentence must build towards it”. 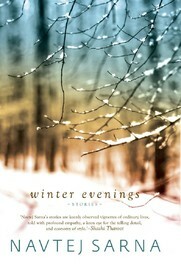 Sarna’s Winter Evenings is an anthology that delightfully, though unwittingly, appropriates Poe’s dictum. A perfect antidote to an exasperated reader’s perpetual quibble about the dearth of good short story anthologies (because of market-savvy publishers mostly steering clear of the form), it is an extraordinary amalgam of moods and moments in the lives of ordinary people, small and delicately nuanced snapshots of the everyday folks circumventing the vagaries of their lives. Each story celebrates that spirit. And, in turn, becomes a celebration in itself. A sample: In the opening title story, “Winter Evenings”, Anand and Rao, a doctor and a bank manager respectively, stare in the face of a long winter, their valley having been cut off from the rest of the world by heavy snow. But what weighs them down is the heaviness of their mundane routine, their banal talk over whiskey and game of cards. They both suffer each other but are doomed to spend time with each other. They retain the pretensions of civility only to rip them open when they are sloshed. It is then that they tell what they truly think of each other: the bank manager is reduced to being a “clerk” and the doctor is called a “village doc, a vet.” The duo’s bond is unlikely and seemingly tenuous, but it passes the test of tenacity: They slap each other after the argument and yet they look forward to their other gathering the very next evening. boutique in the city”. Those people would also know “the cost of the cigarette that Ajay smoked and the name of the brandy around which he fondly cupped his hands”. Both Ajay and Vinita felt comfortable at such parties, feeling “they were among their own kind there”. A statement on the way money has begun to govern our minds and manners and, even, corrode us, “Delhi” delves into a certain vacuity of modern-day lives that is increasingly ripping wider holes. Talking about Winter Evenings, Sarna says that he wanted to publish an anthology 30 years ago, much before he wrote his two novels — We Weren’t Lovers Like That (2003) and The Exile (2008) — and translated Guru Gobind Singh’s Zafarnama (2011). But it didn’t happen because of two reasons: The publishers were “unwilling to put the money behind”, keeping with the tendency worldwide, and, secondly, there weren’t enough stories. So, Sarna, like many other writers before him, had to become a novelist first. The short story writer in him had to wait for 30 years. “When I look back, I feel it wasn’t a bad thing after all,” says Sarna, adding that the years gone by have only helped him experience writing and life better. It is because of this experience that the narrators in Winter Evenings evince a deeper understanding of life. Sarna culls the variety of characters — their aspirations, hopes and disappointments — from the deep well of his experiences, from the lives of people he has seen and heard about. There are victories and losses, opportunities missed, opportunities taken. Fiction mirrors life and, therefore, “no haracter’s life is a complete all-good or a complete all-bad”. “It’s always a mixed bag,” says Sarna. As a writer, says Sarna, if you don’t have empathy for your characters, you are being “unfair to readers, unfair to yourself”. He says: “You’ve to be completely in love with the people when you write about them.” According to Sarna, detail is the “lifeblood” of a short story. “Every short story captures a snapshot of life. It is essential to get the feel of the place, mood and texture right,” he says, adding that it is easy to spoil a short story. All it takes is one wrong sentence or a paragraph. Memory, he says, is another major tool for a fiction writer. “Without memory, you can’t write. A lot of what you remember about people is yours, your memory of them having changed form and texture and developed its own colours over the years,” he says. If there is one unifying theme of the collection, it’s the mood of winter: “Reflective, contemplative and solitary”. The characters are inward-looking and Sarna freezes their frames even as they look back on their lives, mull about their past follies, foibles and failures. genre. He, however, finds fiction easier to do and the discipline and demand of non-fiction “exacting”. In his fiction, Sarna sprinkles a dash of life itself. If Murakami said that his short stories are like soft shadows he had set out in the world, faint footprints he had left, he was perhaps talking about all short story writers. For like Murakami, Sarna’s short stories, in many ways, are like “guideposts” to his he-art: A heart that sees and hears and, most importantly, feels for his characters.